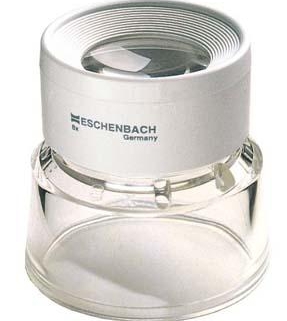 Throughout its history, Eschenbach has become renowned for its continuous innovation. In fact, one of Eschenbach’s company mottos is, “Innovation vor Augen” [in German], or “Innovation in Sight” [in English]. 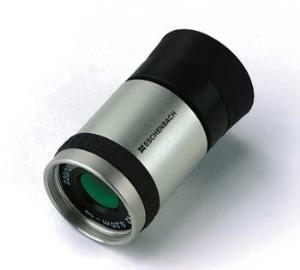 In fact, Eschenbach introduces more magnifying devices than all of its competitors combined.Glasses and Case ImageEschenbach has introduced such important innovations as the first illuminated magnifier, the first injection-molded aspheric lens, the first application of diffractive optics to low vision, and the first all-plastic telescopic system for the visually impaired. Innovation is part of the fiber of Eschenbach’s culture, leading to greater and better solutions for our customers.In addition to consistently staying ahead of the technology curve with new products, Eschenbach strives to ensure that all of our customers realize the full value of each product through the longest useful life. Eschenbach Optik GmbH has received the prestigious ISO 9001 certification for exceptional quality in the “Development, Production and Distribution of Precision Mechanical and Optical Products”.ISO 9001 Certification is awarded only after a company has demonstrated it has developed and implemented a quality management system necessary to prove its ability to consistently provide a product that meets customer, statutory, and regulatory requirements and enhances customer satisfaction.Throughout its history, Eschenbach has become renowned for its continuous innovation. In fact, one of Eschenbach’s company mottos is, “Innovation vor Augen” [in German], or “Innovation in Sight” [in English]. 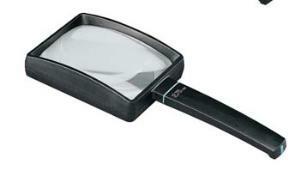 In fact, Eschenbach introduces more magnifying devices than all of its competitors combined.Glasses and Case ImageEschenbach has introduced such important innovations as the first illuminated magnifier, the first injection-molded aspheric lens, the first application of diffractive optics to low vision, and the first all-plastic telescopic system for the visually impaired. Innovation is part of the fiber of Eschenbach’s culture, leading to greater and better solutions for our customers.In addition to consistently staying ahead of the technology curve with new products, Eschenbach strives to ensure that all of our customers realize the full value of each product through the longest useful life. This is backed by our warranty policies, which represent our commitment to stand behind our products.The reliability of Eschenbach products is also supported by such engineering developments as cera-tec® coating which makes plastic lenses 99% as hard as glass, and our proprietary lens material PXM® which allows for lightweight optical solutions in the most demanding designs.Finally, service is what we feel delivers the greatest value to our customers. This begins with trained and qualified employees at every level. Our Customer Service Department will quickly and efficiently process any order or troubleshoot any issue to your full satisfaction.Our team of Territory Managers throughout North America will provide product demonstrations, training and consultative guidance at no additional charge to our customers.Our entire organization is focused on our customers – we strive to ensure your total satisfaction with Eschenbach Optik of America.